The diary includes some inspiring diaries from fellow teachers attending the course as well as a collection of ideas for collaborative activities, digital tools that can be used in collaborative teaching and lesson plans. Collaborative Learning is a process through which learners at various performance levels work together in small groups toward a common goal. It is a learner-centred approach. 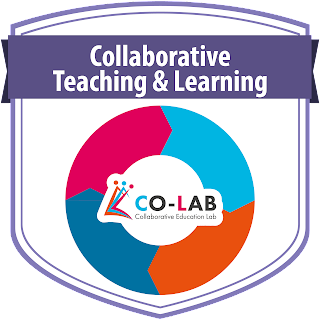 Collaborative learning is a relationship among learners that fosters positive interdependence, individual accountability, and interpersonal skills.